Hello Wottareaders! I wanted to make this post long ago and it is finally here! As the title says, why should you read Ready player one despite having watched the movie already? Well… I have some major reasons for you  here is my book vs movie. Ready Player One is a science fiction novel written by the American novelist Ernest Cline which was published in 2011. The novel had a nice reception, it was a New York Times bestseller and received general appraisal by critics. After the novel came the movie adaptation, directed by no other than Steven Spielberg and having Ernest Cline as a co-writer for the screenplay, being released in March 2018. The movie became a success, grossing 582 million dollars worldwide while its budget was 175 million. IMDb has it rated as a 7,5/10 with a 64 Metascore, pretty decent marks. But of course, they had Steven Spielberg as the director for a reason isn’t it? Oh, before we start, for those wondering if Ready Player One will have a sequel: yes, it will. The same Ernest Cline confirmed in 2017 that there would be a “Ready Player One 2” and that he was already writing it, nothing else is known, not even the book title. May I suggest Ready Player Two? Speaking of release dates, it is yet unknown when this sequel will be published. Meanwhile, you can read his book Armada, which I also having a movie Adaptation. For those who don’t know what I am talking about, Ready Player One is a dystopian novel set in 2040, the world has subdued to global warming, overpopulation, and an energetic crisis. Luckily, people have a way to evade of such a sad reality, they have Oasis, an online virtual reality simulator created by the fictional character James Halliday. When the Oasis creator dies, he challenges all Oasis players: Halliday reveals he has hidden three keys in his videogame, whoever finds the three of them first will inherit all his fortune, including his shares of his co-owned company Gregarious Simulation Systems, implying the winner would take control of Oasis itself. In order to win this contest, players will have to learn about the life of its creator and what he loved and inspired the most, 1980s pop culture. As a result, people become authentic experts in both his life and the 80s in order to win the competition. The book tells the story of Wade Watts (also known as his Oasis nickname Parzival), a teenager obsessed by the 80s who becomes the first one finding the Cooper Key, the first of the three keys to achieving victory. Is the movie a good adaptation of the novel? There are films that have really nice movie adaptations, just like The Lord Of The Rings (see here). Is Ready Player One a good movie adaptation? Hmm, how do I put this? Let’s say it is just an adaptation. The movie uses the novel as the basis, but there are massive changes. You might think that having Ernest Cline co-writing the screenplay might have ensured the movie would not be excessively inventive since he could be consulted, and therefore, we would have a decent transcription of his novel. I’m afraid that was not the case. This is a case of massive inventive adaptation, as happened in Percy Jackson movie adaptations, full of stories that were not present in the source material at all. you don’t believe me? Let’s do this then. Warning: the following section contains spoilers for Ready Player One both movie and novel. This “you have much to learn” is, ironically, the key for the first challenge since the Copper Key is hidden in a cave on Ludus, the planet previously mentioned where a lot of teenagers, including Wade, go to school. As you might have realized, nothing of this happens in the movie. The movie simplifies Halliday’s challenge pretty significantly: you solve the riddle then you get the key. 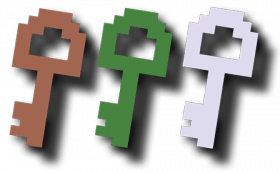 In the novel it’s a bit harder than that, the key is just the beginning of a new challenge, the player has to use the key in order to unlock its gate and therefore face a new puzzle. Basically, the contest is so altered that is not even similar to what happens in the novel. For example, while in the movie adaptation players have to win a race in order to get the copper key, turning out to be tricky since you have to race it backwards. The novel has not even a race at all, but it is instead hidden in a tomb of horrors (recreating so Dungeons and Dragons role-playing game) on Ludus where players have to defeat Acererak (a DnD character) at the videogame Joust in order to get the copper key. After this, the player has to teleport to another planet, Middletown, to play another videogame (Dungeons of Daggorath) and then quote all the dialogues of the character David Lightman in the film WarGames. As you see, pretty much harder than in the movie and way more 80s related. Also, the other keys have different challenges than in the books, Parzival and Art3mis never dance for a challenge (they dance, but in a party). Also, they never visit a virtual version of The Shining. Instead, they have to face other puzzles, such as playing the game Zork. But I don’t want to ruin you the whole book, so I’ll let you discover the rest on your own. In the movie, Parzival gets a quarter as a prize after winning a bet from the museum curator. In the novel it’s pretty different, he gets that prize after playing the perfect game of Pac-Man, that is, eating everything (dots, enemies and fruits) on the first 255 levels while not losing a single life and getting as many points on the level 256 (at which game ends due to a bug). While I-R0k also is shown in the book, his role in the original story is merely anecdotal compared to the movie adaptation. While in the film he has a major role, working for Sorento in order to virtually kill the main characters, in the novel he is just another player who likes to make fun of Parzival. Art3mis is kidnapped in the movie, while in the novel it’s actually Parzival and he does it on purpose in order to infiltrate in IOIs headquarters and destroy the impenetrable forcefield they have put to protect the last puzzle. In the movie after Wade becomes Halliday’s heir, he makes a change in Oasis: people can’t play on Tuesday and Thursdays. This doesn’t happen in the books, and it makes sense this doesn’t happen since, as previously, said a lot of people go to school thanks to Oasis. But also, the world has not changed after Wade wins the contest, meaning, he might be billionaire now, but the rest of the world keeps being the same, they live in a decadent real world and they still want to use Oasis to evade from it, the same Wade did until he had a girlfriend and was not rich, it would be a bit selfish to remove their online world from the rest wouldn’t it? As you see, major changes, a lot of inventive adaptation. You might have noticed also that while the novel was full of references to the 80s. The movie, instead, had a much modern approach (showing video game characters such as Tracer from Overwatch). So, time to read the book before the sequel gets released isn’t it? Keep reading!